Greg Parlier is a retired US Army colonel, and currently adjunct Professor of Operations Research (OR) and President, GH Parlier Consulting. A combat veteran with 5 deployments and service in over 20 countries, he was a paratroop commander for 8 years, air-ground battle staff officer, joint operations planner, and Army strategist. A West Point graduate, where he was later assistant, then associate professor of OR, he also led five different OR organizations in major commands and the Pentagon. His analytical teams developed the Army’s resource strategy for the first Quadrennial Defense Review, led US Army Recruiting Command to Edelman Prize finalist distinction, then initiated and guided the effort to transform the Army’s global supply chain enterprise as Deputy Commander for Transformation at Aviation and Missile Command. With nearly 34 years of service, he was the Army’s senior, most experienced Operations Research officer on active duty. Since retiring he has supported international security initiatives, defense reform projects, and was OR team leader for the counter-IED command in Iraq. He was elected to INFORMS leadership positions at section, chapter, and society levels, and is former president of the Military Applications Society. He co-edits an OR text series, and is program chair for the annual International Conferences on OR and Enterprise Systems. 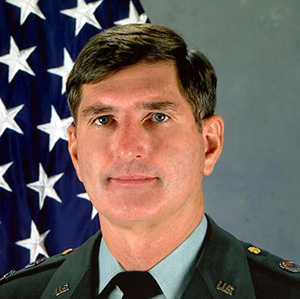 An Army War College graduate and distinguished graduate of the Marine Corps Command and Staff College, Dr. Parlier holds advanced degrees from the Naval Postgraduate School, Georgetown and Wesleyan. He was a National Defense Fellow at MIT. Honors include the MORS Tisdale Award, Army OR Analyst of the Year, MAS Koopman Prize, and INFORMS Edelman Laureate. He was the first Air Defense officer upon which the 82nd Airborne Division Association bestowed All-American Centurion Wings, and holds a certificate in political philosophy from Oxford.